I was weeding in the garden tonight. It’s amazing how quickly the weeds grow up and drown out the plants! It seems one day I look at it and think, “There’s a few weeds. I’ll have to get out here soon.” In just a day or two the weeds have taken over! Sometimes when I go out to weed the ground is dry and hard. It takes a lot of work with the hoe and rake, working the ground and my muscles just to make a little progress. It can be frustrating and makes me want to quit. Last night it rained. Not a big storm, but a nice, gentle, soaking rain. As I began my task the weeds pulled easily from the soft, moist ground. 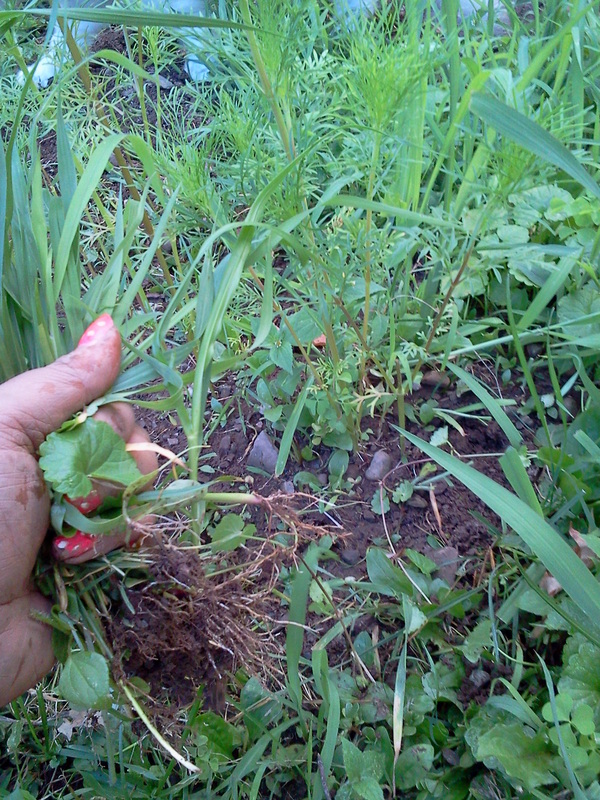 I found myself grabbing by the handful and yanking clumps of weeds at a time. I made so much progress in a short amount of time that I just wanted to keep going. 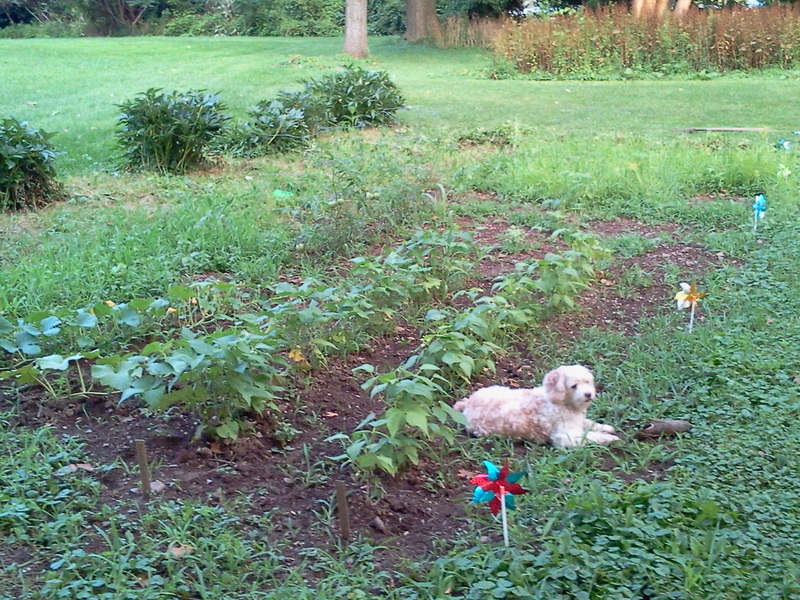 The landscape of the garden changed quickly as the flowers and vegetables emerged from the mess surrounding them. My thoughts wandered from the weeds in the garden to the weeds in my life. Bad habits or attitudes that aren’t Godly can creep in quietly then seem to take over what was once controlled by God’s will for my life. Neglecting time in God’s word or not turning my days over to Him can turn my thoughts to selfishness and away from the fruits of the Spirit. Have you ever found that when you allow the weeds to grow up into your attitudes and behaviors that God sometimes has a difficult time weeding them away from you? I’ve seen that in my life. Looking back I can see where God has allowed rain to come in to my life in order to soften me. Not storms necessarily, but a steady rain that soaks in and makes me turn my thoughts away from my desires and own selfish will and back to His desires for me. It’s not that the fruit God plants in me is gone, but the weeds have overtaken them and made them hard to see. When I allow the rains to fall and soften my will God is able to pluck away at those weeds. As He clears away my selfish actions and desires His fruit of love, joy, peace, patience, kindness, goodness, faithfulness, gentleness and self-control can again be seen. And they can grow strong and beautiful. If you’re going through a time of rain in your life right now and you’re uncertain of why the ‘good’ things of life don’t seem to be coming your way, take some time to examine for weeds. Is God sending these gentle rains to soften you and turn you back to Him? If so, ask Him to work at pulling the weeds that are creeping into your life. As the way clears you will see the beauty of all God has planted in you and will continue to grow as you allow. 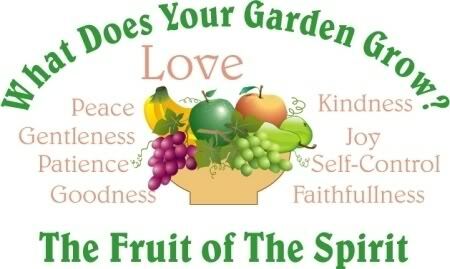 blessings and peace on the garden of your life today!